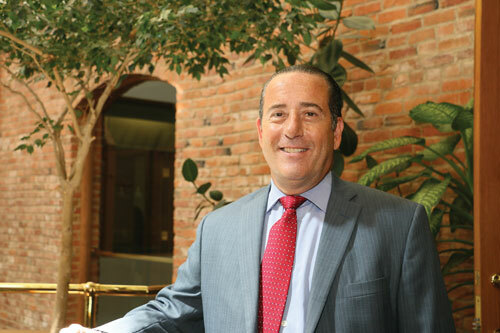 Shapiro, a 1989 graduate of the Creighton University School of Law, is a partner at Schaefer Shapiro, LLP, a Limited Liability Partnership in Omaha that provides an entire package of legal services thereby taking its clients from the very beginning of their legal matter through advising on complex issues, dealing with any dispute that may arise and handling efficiently all legal aspects of their client’s needs. Shapiro’s other specialties include Criminal Defense, Criminal Trial, Personal Injury and Civil Litigation. He is a member of the Nebraska State and American Bar Association and Nebraska Association of Trial Attorneys, as well as the Nebraska Criminal Defense Attorney Association. All of Schaefer Shapiro’s six partners and three associates are licensed to practice law in all Nebraska State and Federal courts. Schaefer Shapiro has established an enviable reputation as a broad based legal practice with particular emphasis on litigation, both civil and criminal. The attorneys in the firm cover nearly all areas of practice in all state and federal courts, both trials and appeals. Each of the attorneys concentrates in an area of specialized expertise, including DUI Defense, Criminal Law Defense, Personal Injury, Probate, Real Estate, Business Planning, Contracts and Domestic Relations. The civil law field is of ever increasing importance to the law firm. It practices in all related disciplines, such as advising clients on the establishment, structure and use of business entities and trusts and estate planning. The firm’s attorneys are best known for their emphasis on criminal defense, representing many high profile cases in the Omaha area. The firm is widely respected for defending the principles of justice provided by the U.S. Constitution. The experience, strength and breadth of the law firm’s expertise, its network of reputable legal practices and strong links with the community allows for the work that they undertake to be handled quickly and efficiently with the aim of providing the optimum level of legal service to the client at a fair and reasonable cost.